Like a cigar, a well-built humidor enhances many experiences, rewards its owner with keen and lasting memories, and provides him with many pleasures. 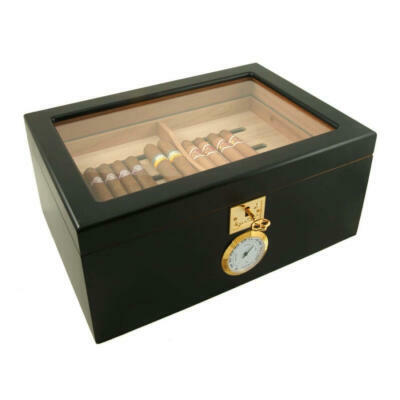 But a poorly crafted humidor resembles nothing more than a box because at best it serves as a way station for cigars as they travel from the tobacco store to the smoker’s mouth. Worse yet, a box alone will do little to protect cigars from drying out. 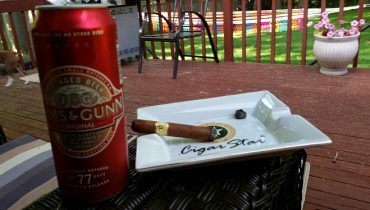 Cigars are not like, say, your old vinyl LP’s–you cannot toss a cigar in a wine crate and then light up your favorite smoke as easily as you can spin an old, monaural Nat “King” Cole album on a turntable. Cigars are a natural, agricultural product, and will smoke poorly or wonderfully, depending upon their care. 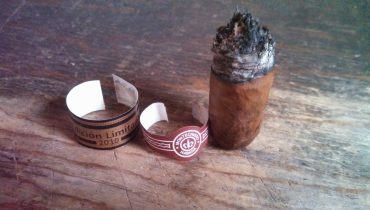 Unfortunately then, some amount of sweat and cash must be spent to correctly preserve cigars. Ideally, a humidor should maintain a cigar at its peak of “smokability.” This isn’t simple, because a humidor should re-create the tropical or semitropical environment in which most cigar tobacco is grown. Makeshift tropical environments–like a steamy bathroom or a zippered plastic bag with a moist paper towel–don’t work reliably. A cigar is composed of multiple layers of tobacco. 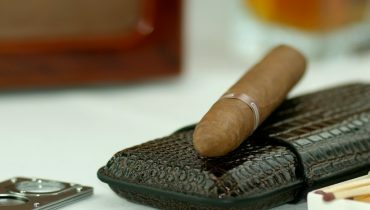 In an inconsistently humid environment such as a shower stall, the outside of the cigar will dry once the mist is cut off, but the inside of the cigar will still be damp; the inside “bunch” of tobacco will swell but the wrapper will contract and split open, destroying your investment. The most crucial characteristic of a fine humidor is that it can provide a consistently tropical environment (about 68° to 70°F and 70 to 72 percent humidity). 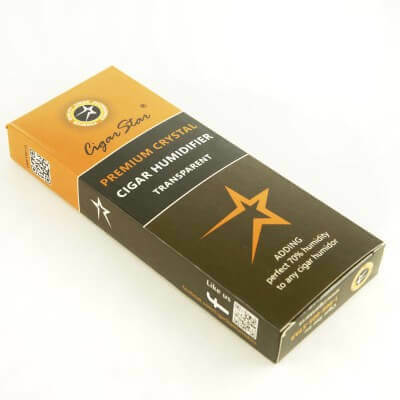 A constant humidity level will also increase your smoking pleasure; beyond providing proper burning speed, with less heat and therefore more flavor, a good humidor will not intrude upon your smoking pleasure with niggling details. The components of a good humidor can be judged easily: A humidor should always be measured against its ability to provide constant humidity to its contents over a long period of time. And remember, this does not only mean how often you add water to the humidification system; it also means that 20 years from now the box lid hasn’t warped and the hinges still open easily and quietly. 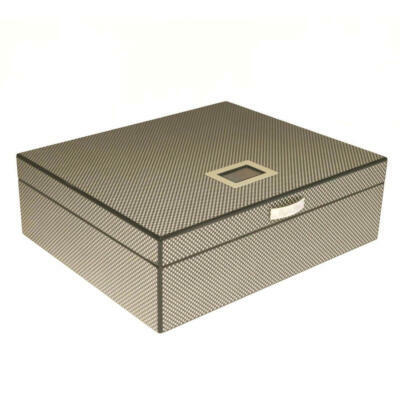 Starting from the inside of the box, look for details such as perfectly squared and fitted seams. You shouldn’t see any glue or signs of construction, and a gap in any joint spells trouble: It provides an exit for moisture, and eventually warping will result. Cedar is the best wood for the inside of a humidor, because of its ability to enhance the aging process (allowing the various tobaccos in a cigar the chance to “marry” so that the cigar is not composed of distinct pieces of tobacco, but of subtle nuances of taste). The wood inside a humidor should be unvarnished, otherwise your cigars might very well taste like linseed oil. The rim of the box should be constructed uniformly, with tight tolerances, so that the lid closes with the solid feel of a Mercedes-Benz car door. 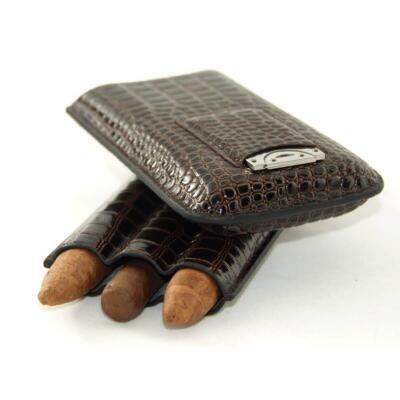 An inner lip, especially a lower one, will protect cigars from dry, outside air. In a box without a lock, this is all-the-more necessary, because only the weight of the lid will keep it shut tightly. 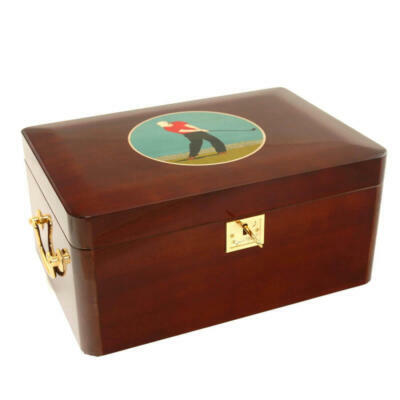 A humidor lid should not close as tightly as a safe, to ensure the necessary circulation of air. Musty smells destroy cigars. The entire box should be balanced, both when left open or when closed (the last thing you want is to have your box tumble off the desk because the lid is too heavy or bounce when the unit is opened). A perfectly constructed box is worthless if it has no means of providing humidity. At one time old apple cores were thought to do this nicely, but modern humidification systems will prove more reliable (though, as the survey below yields, some humidifiers are more “modern” than others). Most humidifiers rely on some variety of sponges, chemical compounds or even plain bottles to provide moisture. Whatever the medium, remember that prime cigar aging demands constant humidity levels; always ask your tobacconist how often a humidification system needs refilling. Usually, humidor instruction manuals call for low maintenance, but a good rule of thumb is that you shouldn’t think “I could have made this myself” when examining the unit’s humidification system. 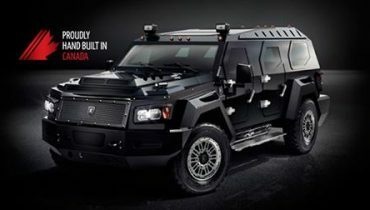 And it is a given that any system should look as sturdy as the box it comes with. 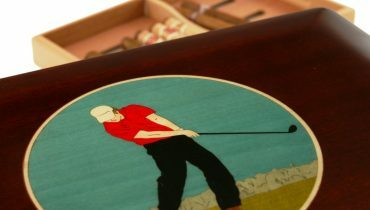 Other practical features, in order of importance: a tray, which provides the owner with the option of storing cigars at more than one level, so that they are exposed to varying degrees of humidity (always place parched cigars on the bottom of the box first, where they will regain humidity slowly, then move them to the top shelf); slots or wells drilled into box sides, which allow a unit to breathe while preventing separation and warping of veneer; and lid magnets, for holding cutting instruments, are occasionally added to humidors. A hygrometer, while fancy-looking, is seldom accurate even in the most expensive desktop models.